← Sifting Through The Ashes, Part Six. – the donald VS The World – Summed Up In One Exchange. Sigh…There is so much going on in the world that it is an unending resource for those of us that comment on society, and the current tidal change in our Political world. When Trump or McConnell or Paul Ryan say they want to replace the ACA with “Health Savings Accounts” (HSAs), they are also saying they want to replace Obamacare or Medicare or Medicaid so YOU will be paying for your healthcare. That means YOU pay for chemotherapy… YOU pay for all surgeries and hospitalization… YOU pay for all your family’s doctor visits, urgent care, ER visits, and prescription drugs out-of-our-pocket. A Health Savings Account is just a tax-free way for you to save up money to pay for your own medical bills. So if you are paying off college loans, or saving for a house down-payment, or simply living paycheck to paycheck, guess what — a Health Savings Account does you no good, because you have no discretionary funds to deposit into it. And even if you manage to save five grand or ten grand in an HSA, that could all get wiped out in one hospital visit for you or a family member. Then you are back to square zero again. 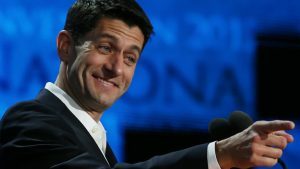 OK…Ryan wants to wipe out the entire law, and replace it with Healthcare Savings Accounts. Tell me…do you have enough cash ON HAND to deposit $100,000 in that HSA? If not, how are you going to deal with it when a week after this change happens, your wife and child are seriously injured in an automobile accident, and in hospital, racking up bills at a rate of $10,000 a day? Will you sell everything to help them? Will you say to yourself ‘screw it, I can find a new wife, and create a new kid with no effort, so pull the plug on them? I have yet to get a straight answer to this question! (Imagine that) Bless their hearts, the folks that support this are deluded at best, and malicious at worst. As my question indicates, a vast percentage of Americans live paycheck to paycheck. They do not have that kind of money to tuck away, and it would take them 20 years of sacrifice to get it. Then, there is that fact that this law does not remove the money in it from being taxed. It only defers the tax, anticipating that by the time the money is withdrawn, the tax rates will have dropped, or the income will have dropped, enough to overbalance the taxes due on this. Right now? If, for example, I pull $10,000 out of a 401K to pay for a short hospital stay, I will actually have to deduct $11,500 (at least) from the balance, to deal with Penalties for early withdrawal, and taxes. Well, so, the fact is that 99% of Americans will NOT have an HSA with $100,000 in it, not now, not in two years, not in 10 years. life-time caps on coverage (which are almost always low enough that a serious health issue will top them out, leaving the patient with the choice of dying, or going bankrupt from their attempts to pay for needed coverage. 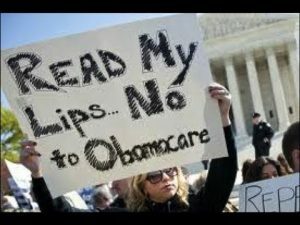 Another serious issue that the Republicans like to ignore, or blow smoke over to conceal, is the fact that repealing the ACA will, by ALL estimates, cost America well over $1 TRILLION dollars in coming years, and likely destroy many jobs. There are plenty of studies that show this available with a simple, Google search. This will cause upwards of 20 MILLION Americans to lose their health insurance. In case anyone has forgotten, it was only eight years ago that the above situation was not the exception, but the normal mode of doing business that the Insurance Industry held to. This is not a guess, this is not speculation. These are FACTS. Police Protection – How many of us could afford hiring a subscription to a private security service that we could call when disaster happens to us at home. Then, there is the issue of being on the road, and getting into an accident. Even if we are not at fault, HOW is that mess going to be dealt with? Finally, there is the security issue itself. Will an employee of a private company be as willing to run TOWARDS danger and possible death? Mercenaries, while a bit strange from my point of view, may be good at what they do, but, when push comes to shove a vast majority of them will say “I preserve ME, first…THEN the other guy”. Fire Protection – We, in America are blessed with a huge population of men and women who, like police, run TOWARDS danger instead of away from it. They, with quiet courage, ride their trucks into the unknown, taking on tasks ranging from battling wildfires eating thousands of acres and likely to turn and eat them at any moment, to rescuing a companion animal from a tree, or stream, or culvert where they have gotten stuck. They do this with grace and a caring attitude, and put their own lives second in many of these situations. Infrastructure Creation and Repair – There is a road running by your house. There are street lights that illuminate the road, making it safer to drive, there are bridges that cross impassable barriers, and a thousand other things that are the foundation of our life here in America. The men and women who work on these tasks are, in general, dedicated, hard workers who want to do the job as well as they can, both for you, a stranger they may never have met, and for their families who likely drive on the roads and bridges they support and are directly affected by how well the structures are maintained. Would YOU want to be “Self Reliant” and either pay a crew to keep the road along your property paved, or take care of the task yourself? What if a downed tree damages the power lines to your house? Going to fix THAT on your own? This, by the by, includes clean water supplies and in some cases, trash and waste disposal. Do you want to have to dig a septic system and maintain it? Do YOU want to have to make frequent runs to a commercial trash collector station, where you would likely have to pay a fee for EVERY bag of trash you put in the system? Public Education – We, as a society, use tax revenue to support a public school system that is free for all. This free education extends through High School. Now, other countries are rather different about that. Uganda, for example, has no publicly funded High School system – which is far too common in the area. So…for a child to go to High School requires a significant payment from the parents. The end result? A population that has a small proportion of its kids getting any education beyond elementary school. Look around at today’s society for a second – I will wait – Ok…can you really say that someone with less than a High School education can really be successful in dealing with the complexities of this world? Or, for that matter, look for any opportunity for work that is past the dishwasher/line cook level? Say you had three kids…one boy, two girls. How much would YOU pay to ensure that they each would make it out of High School? $5000/year for 4 years? That is a real possibility. These are but four of the many “Socialist” programs the United States supports and enjoys. To me “Self-Reliance” means doing what I can, but making sure that this support system is kept in good shape to take the burden of things that I prefer not to have to deal with or that I can, by joining a group where we each contribute a little bit, we can get great rewards back. To touch back on Politics for a moment, Bernie Sanders ran a very successful campaign in the lead up to the 2016 Presidential election, paid for by millions of people who contributed $27 each. He may not have won (alas), but, he made some big changes to the platforms of the parties, and brought some serious issues to the attention of the American Voter. As for the “enabling” comment..a vast majority of the people supporting this repeal of the ACA claim to be “Good Christians”. I missed the book of Christ’s teachings where He said “Ah, forget it…I was just joshing with you. Screw the poor and disadvantaged. Let them starve… Greed is GOOD!” Having studied and meditated on the teachings in the Bible for 50+ years now, I would be interested to hear where anyone has found comments that support the view that the disadvantaged should be kicked to one side while we enrich ourselves. These days, I have created and keep open three tabs on the browsers I use, with one Representative’s email page in each. It takes about five minutes to hit all three tabs and send a short, clear, polite message expressing your opposition to this (or other) issues. It is worth the time and anyone that tries to tell you it is not, is lying to you, because they know that our voices ARE important, and ARE heard by our Representatives. They always have an agenda that depends on us, the voters and Citizens of America, NOT taking that time to communicate with our government. Be Strong..be Smart…Make your voice heard. Also, of course, if your Representative fails to support causes you find important..make an effort to vote in EVERY Election, vote them out of office and replace them with Representatives that actually DO Represent you. If possible, be a bit of an activist. Find out if your neighbors vote, and if they have excuses, politely discuss it with them, and offer to get them to the polls on Election day. Contribute to your candidate – both time and money are useful and appreciated. Finally, stand up for what you believe in on Social Media. We should not call names and engage in playground fights…but, state the truth and let it stand on its own. This entry was posted in Advances in Healthcare, Ethics, General, Nuttiness, Political rants, Politics, Questionable decisions, Snake Oil and tagged ACA, HSA, repeal, Right-Wingers. Bookmark the permalink.